Georgia Cassidy rips a shot during the FCIAC title game. Cassidy wa the leading goal scorer for the Blue Wave, who won the FCIAC title game. Another season has come and gone for Darien High School, and in what has essentially become tradition, the Blue Wave will again need to clear space in their trophy case. 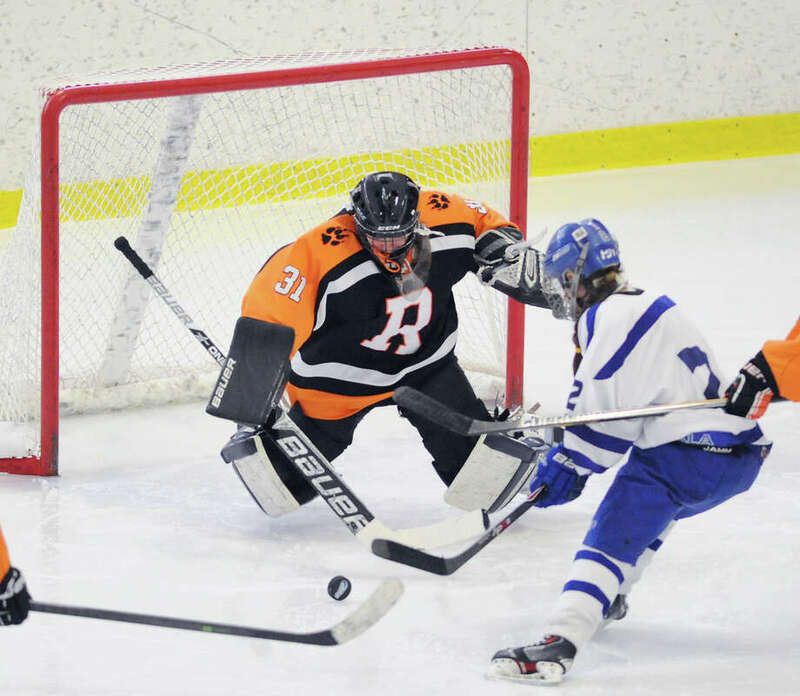 The hockey teams completed an impressive feat when both the girls and boys brought home the FCIAC championship. The boys team, who upset first ranked Greenwich in the FCIAC finals, continues its pursuit of a Division I title after Jake Kirby's hat trick helped avenge the Wave's last loss, which came in January, and send them to the semifinals. The girls used depth and smothering defense to finish with an unblemished 14-0 conference record and eventual championship. On the hardwood however, Darien wasn't as prosperous. The boys basketball team was coached by Charoy Bentley in his first year. Bentley's dad, Charles, was a legendary coach at Harding and Bentley was a star there before going on to play college ball at St. Joseph's. Bentley started five sophomores this season and rotated in one junior and two freshmen. The Wave's record was nothing to write home about but they will return every player next year and every starter for the next two years; including All-FCIAC defensive team member Alex Preston. On the girls side, coach Katie Lauten made the most of what she had without one superstar, relying on every player to contribute. Despite a four game losing streak, Darien finished strong to just miss the FCIAC tournament, but qualify for states.